With the Anjou Dining Chair from Zuo Mod, you'll have no trouble sitting, chatting and enjoying your time with guests in your dining room. This deluxe dining chair provides exceptional comfort, as it consists of plush materials. Plus, the dining chair delivers an elegant look and feel, making it a wonderful choice in any contemporary dining room. Choose a dining chair that blends comfort and style beautifully -- the Anjou Dining Chair. Boasts an elegant look and feel, making the dining chair a wonderful choice in any contemporary dining room. Consists of plush materials that deliver exceptional comfort. 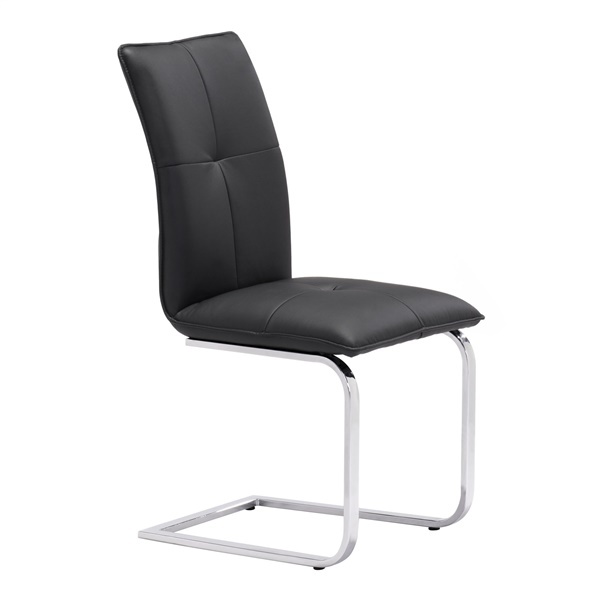 Stylish, sophisticated design ensures the dining chair fits perfectly in dining rooms of all sizes. Available in four dazzling colors to make it easy to find a dining chair that complements your dining room's d�cor.